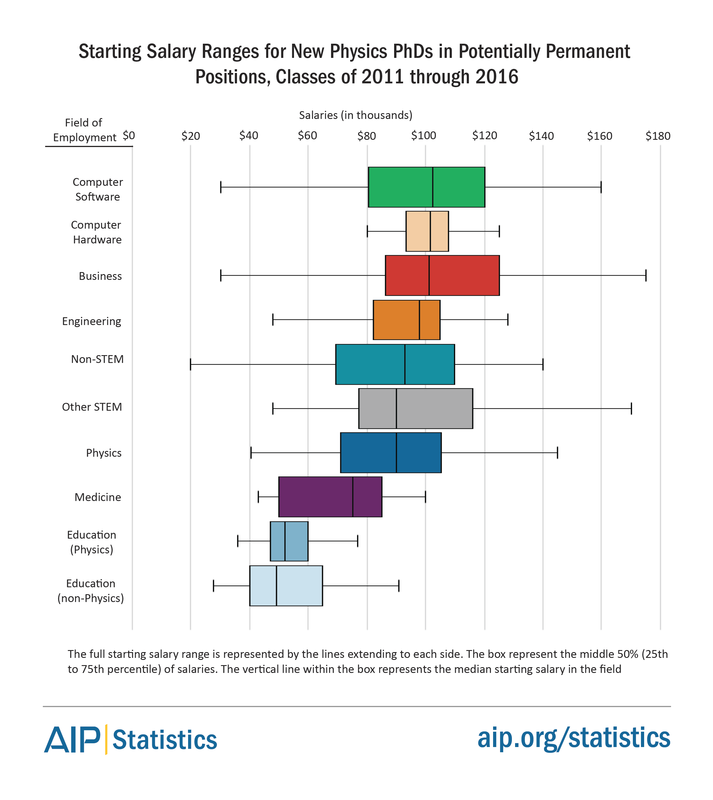 The Who’s Hiring Physics PhDs resource is designed to illustrate the types of employment that a physics PhD can lead to. The pie chart below separates new physics PhDs holding potentially permanent employment by the general fields in which they were working. The labels in the chart contain dropdown menus with employment information about each field. The field information includes listings of employer names and job titles, as well as figures showing starting salary ranges and frequently used skills. For more information on physics PhD employment click here. Click here to download a graphic representing this field data. Source: AIP Statistical Research Center, Initial Employment Surveys, classes 2011 thru 2016. Data is based on the responses of 725 new physics PhD recipients in potentially permanent positions when asked "What is your primary field of employment?"